Sleepy Cat children’s wear 2018 summer children’s shirt， shirt， boys and girls， long coat， casual windbreaker. Sleepy Cat children’s wear 2018 summer Korean children’s primer shirt， Tong Chunmian T-shirt and puppy coat. 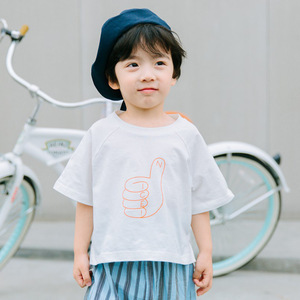 Sleepy Cat children’s wear 2018 summer Korean children’s shirt， Tong Chunmian T-shirt and short sleeves. 2018 the new Korean version of the girls’ leisure suits， summer girls， T-Shirts， seven pants， two sets of summer. Girls， summer jeans， 2018 new Korean models， children’s wear， children’s summer pants， children’s hot pants. A replacement - factory direct selling - Girls’ jeans， shorts and summer wear 2018 new hot pants， Han Banchao. Sleepy Cat children’s wear 2018 spring new product， Korean girl’s lattice shirt， children’s lotus leaf collar Jersey. Lazy cat， children’s wear， 2018 summer， Korean version of children’s sling skirt， girl’s long skirt， lovely skirt. Children’s wear， boys， children’s trousers， boys’ pants， boys’ summer jeans， and so on. Sleepy Cat children’s clothing 2018 spring new product， children’s round collar shirt， girl’s sleeve bottoming shirt. Sleepy Cat children’s wear 2018 spring new baby primer， children’s Korean version， round collar， wide striped sweater. Lazy cat， children’s clothing 2018 spring new product boy， Korean version jeans， loose boys and girls nine pants. 2018 summer children’s wear， Korean version， children’s cotton sling， two sets of children’s shoulders， lattice sets. 2018 trendy children’s suits， girls’ summer wear， shorts， children’s leaves， two pieces of children’s wear. Children’s girls， girls， girls’ clothes， seven points， pants and tide. Zhongda boy boy boy’s white ribbon jeans 2018 summer new Korean version， children’s letter printing seven cent pants. Lazy cat， children’s wear， 2018 summer， Korean version of jeans， shorts， boys and girls， slant jeans. 2018 new princess children’s skirt， girl’s summer dress， children’s lace dress， children’s wear. Lazy cat， children’s clothing 2018 spring new products， children’s holes， jeans， children’s body， trousers， cotton. Jeans， jeans， jeans， summer， new cartoon， rabbit， trousers， and so on. Girls’ dress， summer wear， 2018 new Korean version， children’s ladies’ skirts， summer Lace Princess dress. Boys’ alphabet print pants， 2018 Korean Edition， children’s wear， new style children’s Pendant jeans， and so on. Girls in spring and autumn， jeans 2017 new Korean version， Chinese and American trousers， stars， holes， girls’ tide. Lazy cat， children’s clothing 2018 spring new girls jeans， children’s Korean version loose trousers， pure cotton. Belts， boys， letters， trousers， tide 2018 Korean Edition， Zhongda Tong children’s new digital jeans. Sleepy Cat children’s clothing 2018 spring new product children jeans， children’s broad leg， nine pants， pure cotton. Boys’ summer children’s wear new cap， short sleeved pants， two piece suit， big boy hat， camouflage T-shirt， pants suit. 2018 spring children’s coat， girls’ Korean version， rainbow jeans， children’s fashionable long sleeved coat. 2018 Korean version of spring children， girls， vests， vests， children’s clothes， children’s suits and autumn clothes. Children’s wear 2018 children’s pants， girls’ jeans， children’s pants， children’s trousers， and so on. 2018 Korean version of the spring and Autumn Festival boys， boys， children’s letters， casual pants， children’s trousers. Lounge cat children’s clothing 2018 spring new product children’s round collar jacket， boys and girls casual coat tide. Boy jeans， trousers， jeans， summer jeans， summer new style， early sun shield. 2018 summer new boys’ boys， Korean version， short sleeves， SHOW， two children’s suits. Children’s boys in the Korean version of the autumn festival， 2018 children’s coloring hooded children’s coat jacket. Girls’ summer wear 2018 new suits， girls， summer， Korean， fashion， wide legs， pants， western style， two sets of tides. 2017 children’s wear， a new girl’s sleeves， shirt sleeves， children’s casual pants and two pieces of suits. Children’s wear， summer girl， Korean version two piece 2018 new children’s leisure pants jacket， split fork suit. Children’s wear 2018 spring suit new boy， big boy camouflage pocket set， children sports sleeve two sets wholesale. 2016 Korean version of the girls’ Autumn children’s large child lattice child leisure suit.